600 Online Psychology Programs, 3,100+ Psychology Degrees Total at 1,700 Universities. 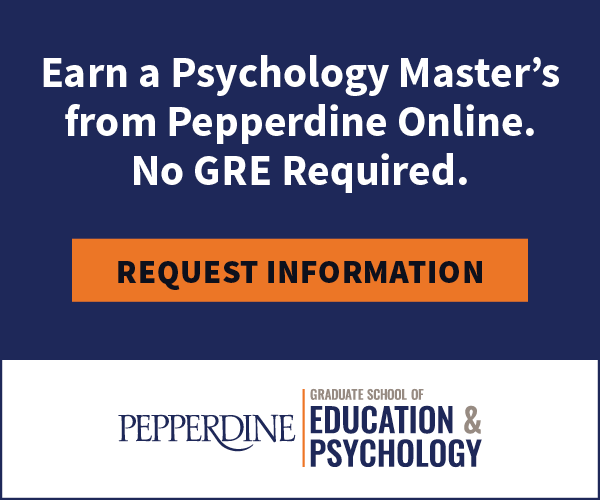 The online Master of Arts in Psychology from Pepperdine University can be completed in under two years and is open to all undergrad majors who want to learn how to assess personality and intelligence and understand mental and emotional disorders. GRE scores are not required to apply. Earn your master’s degree in behavior analysis online in 18 months through Simmons' highly respected program, BehaviorAnalysis @ Simmons. Our curriculum integrates theory, research, and practice across a variety of applications to prepare students to pass the BCBA® exam and enter the field as exemplary scientist-practitioners. PsychologyDegrees.org is the most comprehensive psychology degree guide on the web. With over 3,100 different psychology degrees and 1,700 different universities in our database that have a psychology degree program offering, we are the top resource for finding an accredited psychology degree. 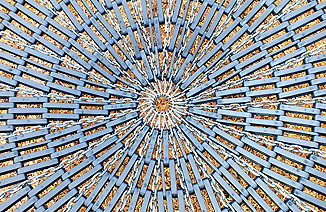 We utilize data and studies from the most well-respected organizations and journal publications in psychology, including the: American Psychological Association (APA), the Masters in Psychology and Counseling Accreditation Council (MPCAC), the Psychological Clinical Science Accreditation System (PCSAS) National Association of School Psychologists (NASP), among many others. 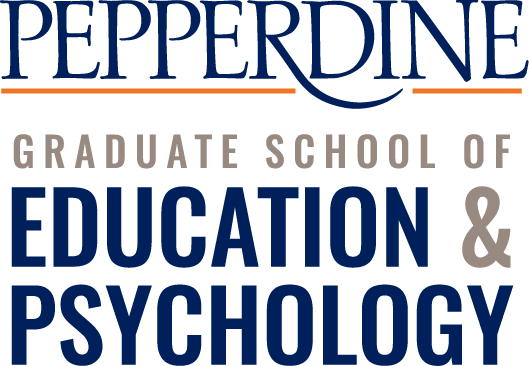 The Pepperdine University Graduate School of Education and Psychology offers multiple online psychology degrees to help advance your career in the human services or a related field. 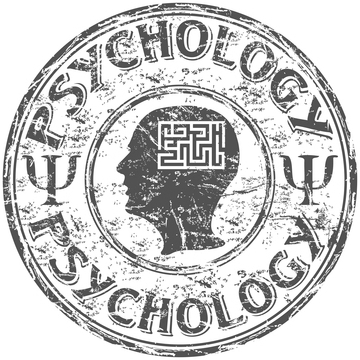 At Psychology Degrees.org, you will find detailed listings of every university in the U.S. that offers Psychology at any degree level, as well as pertinent information for that degree or state. We are constantly researching the web to study psychology programs, find information for those interested in a psychology career, and talking with universities about what makes for the best psychology student. Why Consider a Degree in Psychology? There are many reasons to consider working in psychology, one of which is a strong future outlook. The United States Bureau of Labor Studies estimates psychology jobs to grow by 14% from 2016 to 2026, which is faster than the national average. 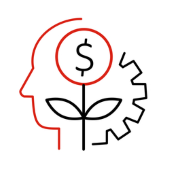 According to a publication by the APA in 2011, several psychology subfields, particularly industrial-organizational (I/O) psychology, geropsychology and neuropsychology, are poised for major growth. Overall, there are 3,198 different Psychology Degrees in the US, with degrees spanning all degree levels across 1,710 universities in all 50 states. Here is how they break down, with summaries of each degree. Common Bachelor's Programs include: Counseling Psychology, Clinical Psychology. A Bachelors in Psychology typically consists of the basics, including researching and writing technique and designing the basics of psychological literature or correlational studies (according to the American Psychological Association APA). Popular Master's Programs include: Behavior Analysis, Counseling Psychology. Perhaps the most popular option for an online Psychology degree. A Master's in Psychology can help prepare students for a research or academic career and put them on the path to becoming a licensed clinical psychologist. Certain licensing requirements and in many cases a Doctoral degree may also be requirements. Top Doctoral Programs include: PsyD, PhD, Doctoral Research. The APA is the top accrediting board for PsyD, or Doctorate of Psychology programs. The APA Commission on Accreditation (CoA) and Office of Program Consultation and Accreditation work in conjunction to accredit doctoral, internship and postdoctoral programs, as well as provide assessments to ensure the school is in proper standing for the degree. Stay tuned for updates to the aforementioned pages and more. 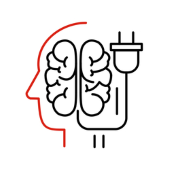 We are always looking for new ideas to add as a valuable resource for students considering a career in psychology, so let us know if something sticks out that could be helpful, including updates for any schools or psychology programs. In order to become a licensed psychologist, most states require that individuals hold at least a high level graduate degree and pass a board exam. These requirements vary slightly from state to state, requiring applicants to be only the most qualified. The majority of graduates of psychology are at the bachelor's degree level and enter in the workforce at entry-level professions. However, there are currently high numbers of graduate level psychologists in every state. Regardless of which path is chosen, there is an abundance of opportunities just waiting to be filled. With the experience in writing and communication that psychology students receive while in school, careers are vast upon graduation even with just an undergraduate degree. The Regis College Master of Science in Applied Behavioral Analysis can help you join or excel in the field of behavioral science — 100% online in as few as 24 months. Study the evaluation, assessment, and intervention techniques necessary to help children and adults struggling with behavioral issues. Click for admission information at RegisCollege.edu. George Mason’s Online MPS in Applied Industrial and Organizational Psychology delivers the research-backed methods and understanding of data analytics HR and business professionals need to foster a culture of innovation — where each employee feels empowered and motivated to contribute new ideas, ignite change, and do their best work every day. No GRE Required, finish your degree in less than 2 years. Earn your master's degree in behavior analysis online in 18 months through Simmons’ highly respected program, BehaviorAnalysis @ Simmons. 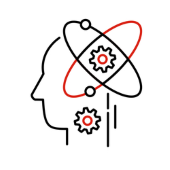 Our curriculum integrates theory, research, and practice across a variety of applications to prepare students to pass the BCBA® exam and enter the field as exemplary scientist-practitioners. Since psychology hit the professional field, it has continued to grow and is now one of the most popular fields of study for college students. It involves the betterment of humanity, which provides an essential piece to a better society. Those interested in the field are encouraged to research the requirements for licensure in their state in order to better prepare for a degree path. After collegiate studies, the working world is a vibrant place for psychology professionals. In a variety of fields, psychology professionals are needed and the continues to grow. We take our information very seriously: if you find any errors on our website, do not hesitate to contact us. The increase in the popularity of psychology has only grown since the science was accepted as a discipline over a hundred years ago. Psychology is a relatively young science in comparison to other scientific fields and continuously matures over time. The founders of the psychology field worked hard to prove that the science was relevant and could be studied. After some speculation, it was accepted and has flourished ever since. Its growth has marked a prominent increase in job opportunities in the health care field, educational field, and even business. More and more businesses are calling on psychology professionals for expert advice on ideal working conditions and employee morale. In the educational field, psychology professionals research and develop new methods of treatment for those in applied psychology to use in the field. As a whole, the outlook for psychology is bright and only continues to prosper. The Associate’s degree in Psychology is a great entryway for new college students that are looking for a future in psychological careers. The associate’s level program is most commonly used by students that have plans to move forward into bachelor’s or higher level programs in psychology, since it provides a general understanding of the beginning topics of psychology education. This program consists of 1-2 years of prerequisite and psychology-specific coursework that helps students better understand how psychology plays into the realm of society. A lot of the curriculum in this degree program involves a look into the introductory topics in psychology, such as the history and development of the science, different types of mental ailments, and developmental psychology. Students that have completed this degree program have the option of moving forward into higher degree programs in psychology or finding entry-level positions within the field. At this level, students can further their resume in social services, human resources, or even specialty fields such a substance abuse counseling or mental health. Bachelor’s degrees in Psychology are likely some of the most popular degree programs available in the field of social and behavioral health. 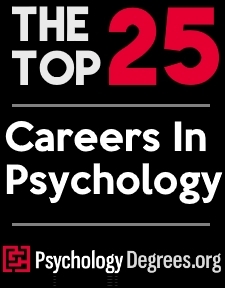 Most students that are seeking careers as psychologists or counselors begin at this level, since it provides the most impact for future learning in psychology. At this level, students have the opportunity to blend knowledge of both standard educational classes such as Algebra and History with courses that are specific to the field of psychology. Most bachelor’s programs can be completed in around 4 years and lead to entry-level careers as case workers, behavior specialists, or even consultants. Bachelor’s programs are usually designated into either the Bachelor of Arts of Bachelor of Science, with each having their own special contribution to a student’s area of interest. Arts degrees blend psychology with the general education component to help relate psychology with different aspects of society, while Science degrees are more focused on the techniques and applications of the actual science of psychology. The Master’s degree in Psychology can be the gateway to licensure and practice for upcoming psychologists and counselors interested in this field. This 2-3 year program focuses specifically on the psychological components of social work or counseling within its concentration. Students that are at this level can expect to take part in independent field work, supervised work experience, and possibly even thorough research projects. Depending on the type of concentration that a student chooses, the courses that are taken within the degree program can vary. Students that have chosen practice-oriented concentrations may take courses that are centered around fair and ethical treatment, clinical diagnostics, and treatment methods. Since the main focus of master’s level programs is to create knowledgeable service professionals, students within these programs may learn a lot about the ethics and requirements associated with working in the public domain. Psychology prospects that are interested in taking their careers beyond service positions usually look towards doctorate programs for their education. Doctorate programs in Psychology often involve a more research-oriented approach to learning, which can encourage learners to work towards contributing new knowledge to their field. Doctorate programs can last around 2-4 years, depending on whether or not learners have obtained their master’s degree prior to enrolling. At this level, students have the option of pursuing a PhD in Psychology or PsyD in Psychology. Each of these programs has its own benefits, depending on what outcome students are looking for after graduation. PhD programs in Psychology are often chosen by professionals that want to pursue research-oriented positions, or those that want to have a career in psychology education. PsyD programs are more suitable for students that want to remain in the practical side of psychology throughout their career. Either program can also potentially lead to management positions within social services and mental health organizations. We have gathered over 1,700 different universities in the United States that have a psychology degree at any degree level. Use the links to the individual state pages to find pertinent information for the outlook of psychology in that state. For each state page, we have listed out every psychology degree offering at every university, including degree level, plus specific information about the governing Board of Psychology in that state. Each board has similarities nationwide, but some have state-specific requirements for being a licensed psychologist that you should be aware of. You will also find information about the current state of psychology, including average salaries for psychologists and counselors in that particular state. You will find information about the best cities in which to get a psychology job, and highlights of what to expect for a curriculum at each degree level. When trying to figure out if psychology is a career option you want to pursue, it is good to first have an understanding of the history and theory of psychology. Read our in-depth analysis here. 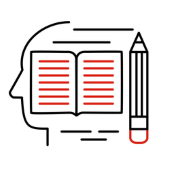 Overall, we have more than 1,700+ different accredited universities in the United States that offer some level of psychology degree – Associate’s, Bachelor’s, Master’s, or Doctoral level – in our database. There are more than a dozen different specializations of the psychology degree. Find out about each one and the differences, advantages, disadvantages, and university availability of each and every specialty of psychology by viewing the different psychology degrees by program specialty. When considering whether or not a person is fit for a position in psychology, there are different aspects to consider. Applied psychology professionals work directly with patients applying therapies as well as other programs to promote an increase in quality of life. They work in hospital environments as well as private practices. In applied psychology, professionals may be required to make home visits or even travel to assist patients with treatment. Those interested in this field should have a desire to help people lead better lives and be willing to go the extra mile to ensure patient or client satisfaction. If an individual is interested in working in a field that is focused on helping people, psychology is definitely a great choice. In the research path of psychology, professionals are constantly needed. Psychological theories are continuously being released, building on the existing studies of past and present researchers. New methods of patient care emerge as these professionals use scientifically reliable steps to test the effectiveness of new and existent treatments. Researchers work in the field and in laboratories to provide for natural or controlled settings. Behavior observation is a large part of psychological research, which involves observing, recording, and predicting behavior. These professionals provide a needed service to the community, making it a highly desirable educational path for prospective students. Research in psychology is vital to the evolution of therapeutic programs and techniques that exist currently, making research specialists highly sought out in psychology careers. Educationally, psychology programs are found in each and every state. Regardless of where a prospective student is located, there are programs available. 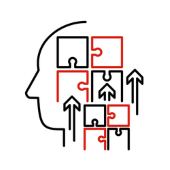 Degree programs in psychology range from undergraduate degrees such as associate’s and bachelor’s to graduate degrees such as master’s and doctoral program. Students can choose from a variety of different degree specialties, including Clinical Psychology, Counseling of varying focus, Sports Psychology, Industrial-Organizational Psychology, and even Neuroscience. There is no end to the possibilities when pursuing a future in psychology. As one of the most versatile degree programs available, psychology can be the start of a career in numerous fields. College coursework in psychology includes courses that increase students’ abilities to communicate effectively. Having the ability to communicate ideas and convey compassion can open doors for psychology students in the future. 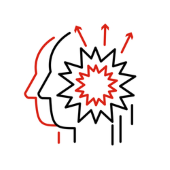 As a student of psychology, students will find that the curriculum challenges them to think critically, another skill that will prove to be beneficial in the field. Learning about how people think, how they feel, and how they behave gives psychology graduates an advantage over others, especially in fields that deal with people directly. Is there any difference between a BA and BS in Psychology? When choosing which route to take in your psychology program, it is important to consider the inner workings of a program prior to making your decision. The Bachelor of Arts in Psychology program is a more broadly-focused program that encompasses the aspects of psychology in addition to other liberal arts courses. If you choose this route, you may find yourself taking more courses that focus on language, society, or health in general. This type of degree is a great choice for students that wish to pursue careers in medicine, business, or even law. The Bachelor of Science in Psychology is a more discipline-focused option that allows students to take more courses that address topics specific to psychology. BS learners are typically students that wish to pursue careers in psychology research, counseling, behavioral health, or mental health services. What’s the difference between a psychologist and therapist? Some of the common career options for psychology degree earners can blend together and sometimes be misrepresented in society. Psychologists are some of the most common psychology professionals found working within the field. Like therapists, psychologists are expected to have a minimum of a Master’s in Psychology and hold a valid license prior to working with clients in the field. Psychologists, however, can work in many diverse fields, since their designation allows them to work with clients that have been diagnosed with mental illness or other cognitive ailments that can affect their quality of life. Psychologists may also work in research or alongside psychiatrists in a clinical setting. Therapists typically work with clients that are dealing with difficult circumstances in their everyday life, situational occurrences such as death or loss, substance abuse, or even with relationships. While therapists can also have very diverse responsibilities in the field, the sum of their work is focused around providing support to their clients regardless of their circumstances. While both psychologists and therapist can work with clients individually and diagnose/treat mental illness, psychologists have a broader spectrum under which they can provide services to people in need. What do you need to pursue a doctorate in psychology? If you are considering moving forward into a Doctorate degree program in Psychology, you might be interested in the requirements set forth by universities offering these programs. At most universities, students are required to have previously completed a Master’s program in Psychology prior to being approved for entry. In addition to this requirement, students might also be required to provide proof of a minimum 3.0 GPA from undergraduate studies and transcripts from all attended schools. Schools that accept bachelor’s degree holders often require that the undergraduate degree be in psychology or other closely related field. As part of the application process, students may also be expected to provide a professional resume, letters of recommendation, or even take part in a scheduled interview with the university. While there are some programs that have no GRE requirement, you might find a few colleges that require scores from this examination for entry. This examination helps determine your academic standing, which can be a valuable tool for universities with a high enrollment rate. Although rare, there are also some universities that require students to have some experience working in psychology-relevant fields. This item on your enrollment checklist can vary from 1-3 years of professional experience, which must be verified by your employer. Psychology is one of the most profound types of health care and consulting services available. Focusing on the human mind and its processes, psychology is a thorough investigation into human thought, behaviors, and emotions. The founders of psychology, William Wundt and William James, set the stage for a totally new branch of extensive behavioral science. The theories of these founders have helped create one of the most popular choices of degrees for college students currently. Since psychology bases its studies around human behavior, it can be applied to almost every aspect of human life. Those interested in a field such as this one are pleased to discover that it is also one of the most diverse career choices available. Want to know more about Psychology?